Just the words “medical health insurance” can make someone’s eyes roll and create looks of disappointment, disgust and mistrust. The rising costs and confusing practices have made it a hot topic of debate and pushed it to the top of president Obama’s domestic agenda. But even though the healthcare system is complicated and may change in the near future, there’s no excuse to ignore its impact on your financial situation right now. One of the biggest fears is losing coverage due to a illness or job change. Each state has different regulations regarding this, but Georgetown University health policy institute has state by state consumer guides for getting and keeping health insurance. Many employers have more than one option, and far too many employees just ask the human resources person or their colleagues for the option they should choose. Also, some employers will allow you to opt out of coverage altogether and let you keep the savings. But individual medical insurance circumstances can differ widely, from the number of children to existing or potential health concerns. Simply checking the first box and moving on may be easier, but it may be a mistake. For example, do you have a spouse with a policy also ? If so, you might be better off with one policy covering everyone. The default position of split coverage isn’t always the best option, especially if only one spouse is employed. 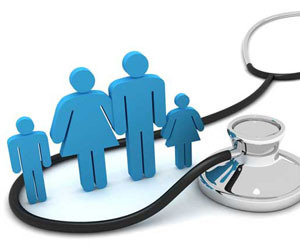 Private health insurance might be a cheaper option than putting everyone on the company plan. Insurance is supposed to protect you from financial disaster, not pay regular health maintenance costs. A week in intensive care will bankrupt most people, but flu shots and minor issues won’t. If you can create a health savings plan that allows pretax contributions which will both grow in value and roll over year to year, then those minor bills won’t hit your cash flow so hard. Concerns about buying pharmaceuticals online may be reduced by a program instituted by the National association of boards of pharmacy called Verified internet pharmacy practice sites (Vipps) which verifies that the internet pharmacy complies with licensing and inspection requires as outlined by the state. For regular prescription users this could lead to substantial savings. Many of the issues surrounding medical insurance plans center on the risk your health poses to the medical insurance company. Smokers and others that are considered at risk for more serious health problems will find that not only is coverage more expensive, but that it might not be available at all. When trying to change habits like smoking, eating or exercise, research shows that it’s easier to create new habits than avoid old ones. While it’s possible that changes are coming to the healthcare system, until that happens consider the situation you are in right now. Are you at risk to lose coverage ? Did you think through the options that you had when you chose your current medical insurance quotes ? Do you know what your cost of medical insurance is ? Are you paying for more coverage than you need or could you use a health savings account to allow for a higher deductible ? Are you paying too much for prescription drugs ? Do you have medical insurance for children ? Did you compare medical insurance plans and searched for affordable medical insurance ? Can you have free medical insurance ? Could you make changes that would increase your health and decrease your medical insurance cost ? Consider those things rather than rolling your eyes when the conversation turns to medical insurance online and medical insurance quote.